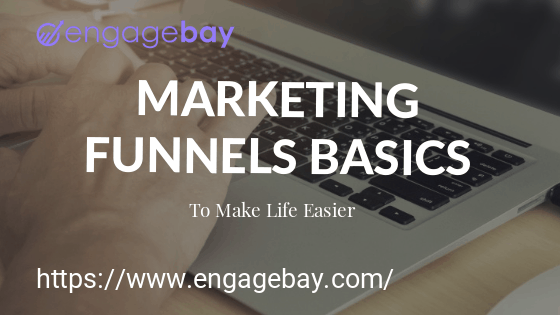 Marketing funnels have been around for over a century and are one of the most popular and important marketing and sales principles. Synonymous with other terms like “sales funnel” or “conversion funnel” (though the latter more typically refers to e-commerce funnels), marketing funnels help cultivate a systems-oriented approach to marketing and sales, designed to orient marketing efforts by removing the guesswork and providing a structured roadmap to lead generation. Generally, they’re thought of as a three- to five-step process (though some have more steps), and the purpose is to map a customer’s journey from when they first become aware of what you’re selling to when they become a paying customer. For the purposes of this article, I’m going to focus on a relatively simple, full-journey marketing funnel that starts with making people aware of your brand and then ending with their purchase. 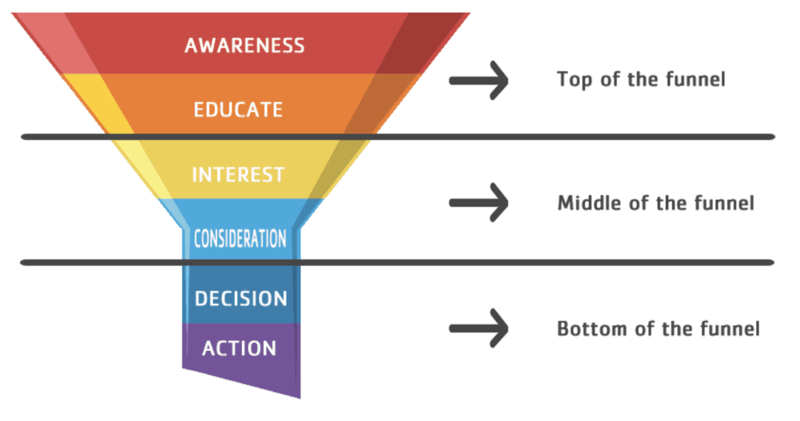 The basic structure is top of funnel, middle of funnel, and bottom of funnel, where top of funnel is awareness, middle of funnel is engagement, and bottom of funnel is the sale. 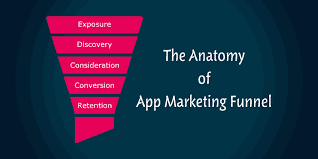 Before we get into the nitty-gritty, I think it’s really important to mention that marketing funnels are presented in a number of different ways for a variety of applications. This article isn’t focused so much on application as it is theory because the application is completely dependent on you, your product, and your brand. However, if you’re looking for a template specific to a certain type of industry, whether it be an e-commerce store, a SaaS product, or even a local brick and mortar, chances are you’ll find some good ideas online. At the same time, there isn’t a one-size-fits-all marketing funnel for each type of product and service, and you shouldn’t think of it solely as a discovery process (i.e., understanding your audience better) but also as a creative process (i.e., coming up with new and interesting ways to appeal to your audience). You might end up having multiple funnels, which can be broken up by your audience segments, which you can read more about in our guide to drip campaigns. Also, it’s important to note that, contrary to how some talk about marketing funnels, they aren’t an end-all, be-all solution to your marketing dilemmas. You might find that funnels don’t really help in certain areas or that they are limiting your understanding of how your customers are actually behaving and interacting with your offers. Marketing funnels should serve you, not vice versa. That said, when a funnel is used properly and your marketing efforts stay grounded in reality, it can be an extremely powerful, systematic tool that should remove much of the exasperating uncertainty that often comes with marketing. For example, if you’re getting a good amount of attention, but few people are engaging more deeply with your brand and offer, then you know you have a middle of funnel problem. On the other hand, if lots of people are engaging with your brand – sharing your stuff on social media, downloading your guides, etc. – then you know you have a bottom of funnel problem. 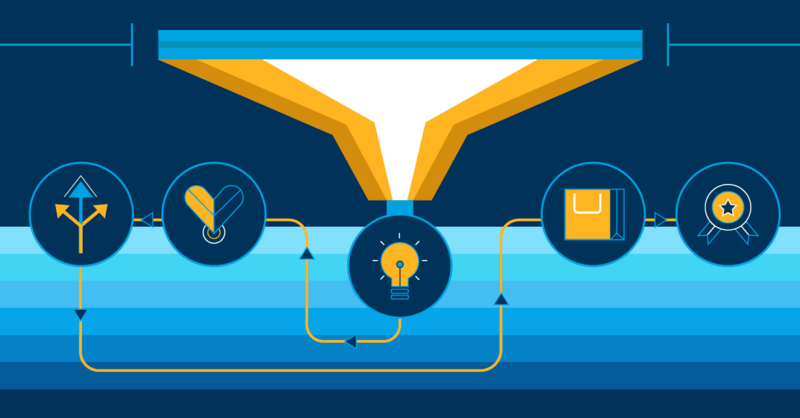 Even if you’ve never heard of a marketing funnel, you’re familiar with the concept. You understand that people rarely buy from businesses they haven’t heard about, and those who trust and like your brand are more likely to buy, become returning customers, and refer other leads to you. A funnel breaks this up into steps, which, as I mentioned above, I like thinking of as awareness, engagement, and conversion. A lead becomes aware of you, then they engage with your brand, and then they buy. 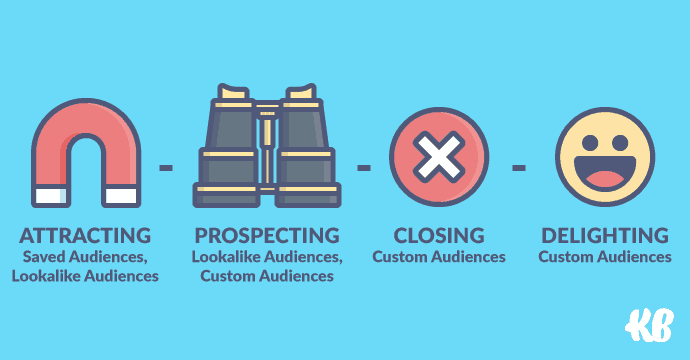 Real life, of course, isn’t always so linear, but funnels delineate these three big steps that leads take when becoming a customer or client, allowing you to break up your marketing efforts accordingly. Instead of just “get more sales,” you have three separate objectives, along with a set of goals and tactics for each. The first goal is, of course, making your target audience aware of you. Then, of those who are aware of you, you want them to engage with your brand and consider buying from you. And then, at the final step, you need to close the deal. Your audience gets smaller along each step (hence the funnel design), but they also become more likely to actually buy from you. Let’s take a look at each step of the funnel, along with some common ways of accomplishing each step’s goals. If someone doesn’t know about you, it’s a no-brainer that they won’t be buying from you anytime soon. That’s why the first step of a marketing funnel is getting attention, making your target audience aware of you and the product or service you offer. In the internet marketing world, this is largely about content. It’s a big part of why blogs, podcasts, and social media accounts are used by so many businesses. The goal is to make your audience aware of you by providing them with useful and interesting information that they’re looking for. Remember: at this point, they aren’t looking to buy from you. They might be looking for some information or even a paid solution, but they aren’t likely to purchase from you right away unless they’re really desperate. One of the most common analogies used here is asking someone to marry you. You wouldn’t walk up to a stranger, even if you felt love at first sight, and ask them to tie the knot. Not only is there an extremely small chance that they’ll say yes, but you’ve probably also ruined your chance of getting to know them and obtaining that yes down the road. It’s similar with marketing funnels, and the top of funnel is where you introduce yourself and “warm up” your audience. Some of this can be done organically, such as through writing great content that ranks in Google and gets shared; but it can also help to run some ads, especially on Facebook, to target your audience and get your message out there. Now you try to figure out which of those who are aware of you are more interested in you and your offer. In other words, you move your top of funnel audience into the middle of your funnel. You do this by asking a bit more from them. One common way of doing this is asking for an email address in exchange for a lead magnet, such as a white paper, guide, quiz, or e-book. Whatever your offer ends up being, the point is that it takes a broad audience of people who know about you and makes it a more narrow audience of people who are more likely to actually purchase from you. Whenever a business is giving away free information meant to serve their audience, this is what they’re trying to accomplish. Also, when a business is collecting email addresses, those in their email list who have not yet become customers are often considered middle of funnel. The final step of the funnel is getting your conversion. Unlike middle of funnel goals, where you’re trying to pique your audience’s interest and cause them to see you as an authority in your space, bottom of funnel goals relate directly to your product. This typically includes things like free trials, demos, free consultations or proposals, etc. The point is that you want to whittle down your audience to exclude those who just want all of your free information to those who actually want to use your product or service. Hence, you could also include things like special offers and promos at this point, attempting to figure out what will get your audience to actually pull out their wallets and buy from you. If you get a large middle of funnel audience that you can’t seem to convert at a good margin, then you might want to consider making changes to your offer itself. While the three-step funnel is the basic model to work with, there are a couple of additional parts of funnels that are worth mentioning here, particularly if you’re dealing with a large customer base (such as with a SaaS business). Namely, you want your customers to continue to purchase from you (leading to an upsell or cross-sell addition to your funnel) AND you want them to refer other people to you (leading to a referral addition to your funnel). So, if you’re trying to fight off churn while promoting referrals, you should add these to the infrastructure of your funnel. For example, for referrals, you could offer perks to your existing customers who send leads your way. And for reducing churn, you could create a program made up of systematic touchpoints that continue to reiterate and reinforce the value of your product to existing customers. Again, this is why it’s so important to begin with a thorough understanding of your marketing needs and objectives, and THEN apply funneling to how you can accomplish those goals. Starting with a predefined funnel and then trying to make sense of your marketing through that is only going to cause you headaches and wasted hours. Get the right tools! Marketing funnels without automation are going to be incredibly difficult to manage. After all, the beauty of funnels is that they systematize your marketing efforts, meaning that – over time – your marketing should require less manual, hands-on work and more strategy and oversight. Like all advertising and marketing efforts, good funnels don’t last forever. But, once developed and solidified, they can generate consistent streams of leads for a good deal of time, and they should be updated and tweaked on an ongoing basis to continue to iterate and improve. If you’d like to learn more about how you can use EngageBay to help bring your marketing funnel to life, check out our Features page.